Jeff Wagner of Mainelli Wagner & Associates, Inc. in Lincoln, Nebraska, is our appointed Highway Superintendent. Nuckolls County is a 24 mile square equaling 576 sections. At this time the County maintains 1,001 miles of road. This is comprised of 650 miles of gravel, 225 miles of dirt, and 7 miles of black-top. There is also a total of 89 miles of State Highway. Nuckolls County has 338 bridges. Of these, 218 bridges are longer than 20 feet and have to be inspected by a licensed bridge inspector at least once every 24 months. Bridges shorter than 20 feet are inspected by County Road personnel. There are 120 of these bridges in the County. The Nuckolls County Road Department operates under the requirements set forth by Section 39-2120, Revised Statues of Nebraska 1943, and the Board of Public Roads Classifications & Standards for annual standardized reporting and minimum design standards for new construction. Local governments participating in this program receive State funds in the form of Highway or Street Allocations. This revenue is derived from the Nebraska Fuel Tax. Local governments are required to have a qualified Highway Superintendent and meet a local match of ¼ of amount to receive this Allocation. They are required to do two sets of reports each year. The 1 & 6 year Road plan consists of all the new construction Road & Bridge projects during the current construction season & a project plan for the following 5 years. The NBCS Report consists of a budgetary report, contract projects completed, total inventory report, equipment listing, and a cost report on equipment. Cindy Buescher is our executive secretary and has a Class B Licensed Highway Superintendent. Jim Bolte is our Road/Bridge Department Foreman. 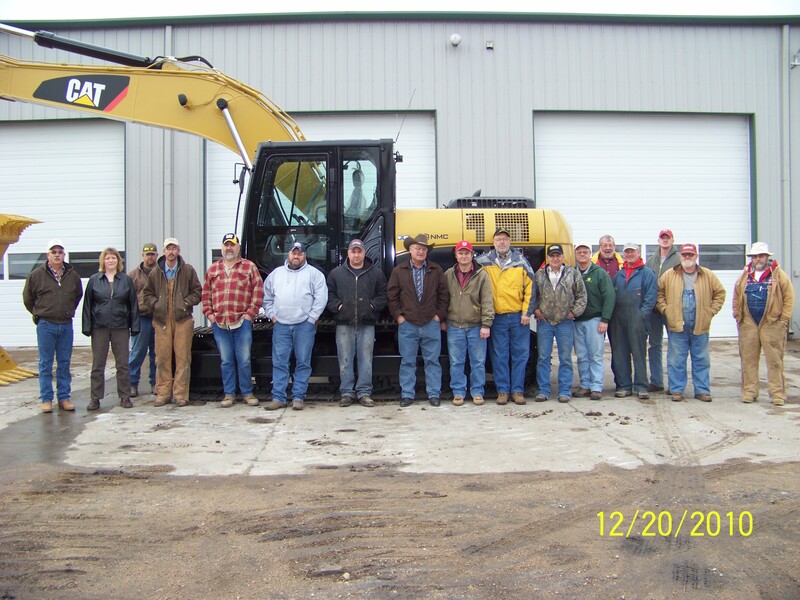 We have 14 Road Maintenance/Equipment Operators. Nuckolls County has 9 motorgrader areas which consist of about 110 miles each with 1 employee assigned to each area for the general maintenance of the roads in that area. We have one main shop located in Nelson and 6 remote shops around the county. Below are the locations and motorgrader operators that work out of those shops.